The house or office walls must be appealing and practical at the same time. When you want to achieve all these, it is always important to engage professional interior designers to give you advice. The interior designers will help you to choose the right décor, lighting and even paint color. By using unique wall coverings, you can create your focal point, add pattern and style to the walls. Are you wondering what you can do to enhance the beauty of your house walls? 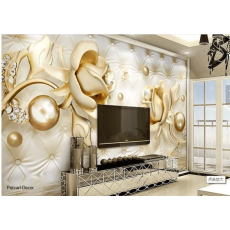 A 3D wall mural is the perfect option to create a focal point in the living room. The luxurious wall murals are easy to install on the wall and they do not damage the wall when removing. If you are looking for a gold floral wall mural for your office, house or restaurant, then you can trust Petcarl-Décor.co.ke to provide you with what you are looking for. These murals do not only add beauty in the house but they also make a great statement about the house owner.